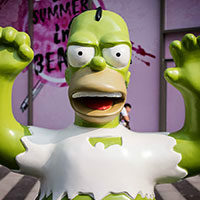 One of America’s longest-standing cultural icons has come to Chengdu, in the form of “The Simpsons Never Show” exhibition in a local shopping mall. Images of people and scenery from Aba prefecture, 6 hours to the northwest of Chengdu in Western Sichuan province. It’s always a pleasant surprise to share brief encounters with strangers on the streets of Chengdu. 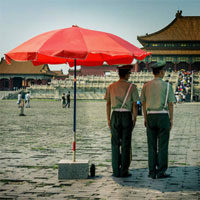 Recently I’ve been taking portraits of Chengdu’s ordinary folk. 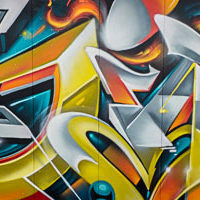 Last weekend in Chengdu local graffiti veteran Gas hosted another “Toyato” street art competition with beautiful results. 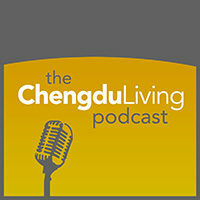 Recorded with Mike, founder of Walnut co-working space, we talk about establishing and managing a business in Chengdu as an expat.